We finally got Rilan to ride on his 4-wheeler tonight. 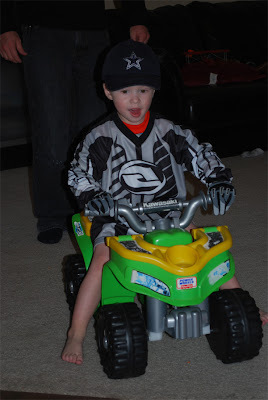 We were all up in his bedroom upstairs and he found the gear that my brother got him for Christmas. 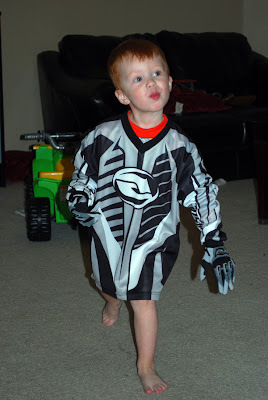 He wanted to put on his brap gloves so we did. 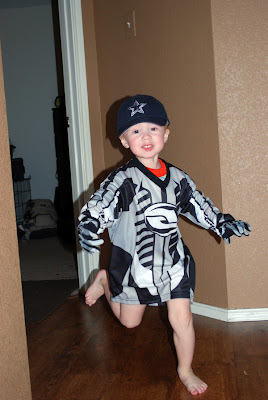 He started running around in circles around his room and through the "toy room" I was cracking up! So then I asked him if he wanted to wear his brap shirt and he actually let me put it on him, he got even more hyper about it. Dax and I were literally crying it was so funny. 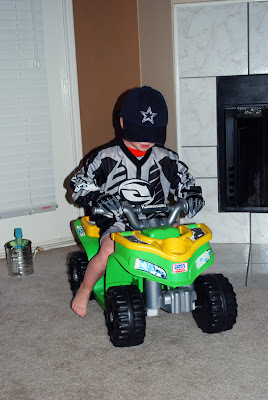 Then he though he needed a helmet, which he doesn't have and found a Dallas Cowboys cap that he decided would work just as well. I came downstairs to get the camera and he wanted to come down too so he started running around our room, through the living room,kitchen, and dining room yelling braaaappp! Then he decided it was time to actually get on the 4-wheeler and rode it back and fourth from the living room to the kitchen. We were beaming with pride. We just pray he keeps up this craziness and wants to really start riding soon! He has really gotten to where he is playing with his motorcycles a lot more since we got home. I wish we could have videoed it. It was freaking hillarious! 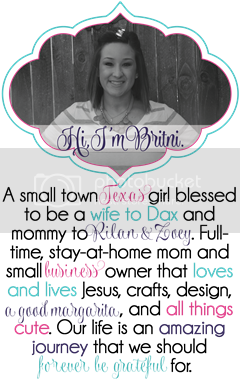 Enjoy a few of the pictures! On the line ready to start! He was so proud of himself he though that he deserved some candy! haha He is eating a peach ring! oh my goodness he is big!!!! and cuter than ever!!! !